We are a privately owned assisted living community, conveniently located near the BelMar shopping district in Lakewood and Historic Highlands Square in Denver. 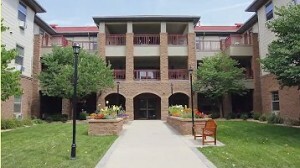 The Granville Assisted Living has been privately owned and operated since 1998 when it opened its doors to those whose income was restricted. Its mission, to service this population with dignity and respect, remains today. Contact us today to learn more about career opportunities at The Granville. If you want to know how special our community is, we would like to introduce you to our dedicated department head employees. The Granville Assisted Living has job opportunities for QMAPs, care giving staff, housekeeping, food service, maintenance and other positions. Below is more information about our QMAP positions. Administer medications according to written physician’s orders. – Adult foster care facilities. – Residential child care facilities. – State certified adult day programs. – Program approved service agencies (PASA) serving people with intellectual and developmental disabilities.